Stop hauling around a heavy lump of metal. 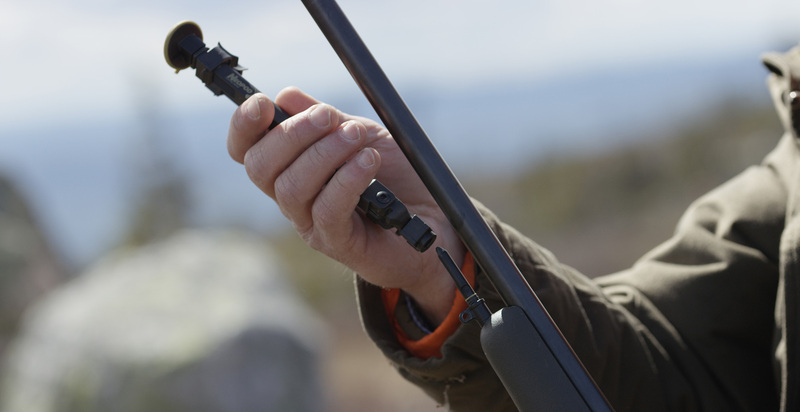 Try the NeoPod® and discover what a practical bipod is all about. It was time to re-think the bipod. We did, and the result is the NeoPod®. It is made from carbon fibre reinforced PEEK polymer. This material has a tensile strength equal to that of stainless steel – with only half the weight of aluminium. For hunters going to extremes, from the deepest deserts to the highest mountains, there are two key things to consider when choosing the right equipment: weight and strength. These considerations have always caused conflicting demands in terms of design and materials. Until now, bipods have been too heavy and too bulky. Hitting your target with the first shot is what it’s all about. 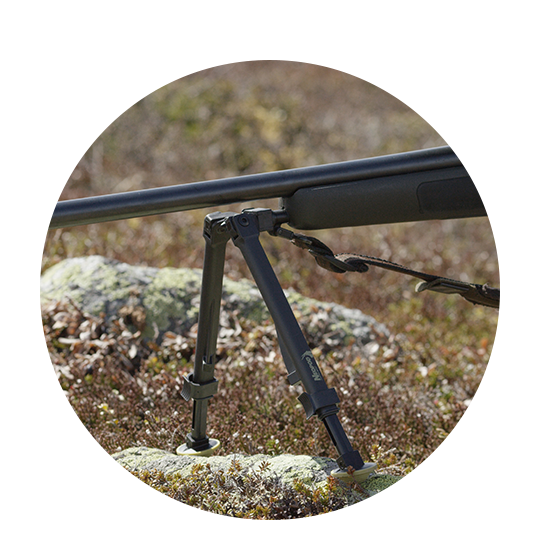 A hunting bipod must be quick to deploy and help you achieve maximum precision in the field. We have used the highest performing materials in the world and refined our design through extensive testing to produce a unique bipod for the most demanding hunters. The NeoPod® is a game changer – it offers performance without compromise. Thanks to using space-age materials the bipod itself weighs only 82g (2.9oz). The various adapters weigh from to 7 to 31g. Total weight is only about that of 4-5 rounds of .308 Win! The material used, carbon fiber reinforced PEEK polymer is immensely strong and generally regarded as the highest performing material in the world. At the heart of the system is a spigot, and for a good reason. Nothing beats a spigot when it comes to both quick attach/detach and center of gravity close to the barrel. 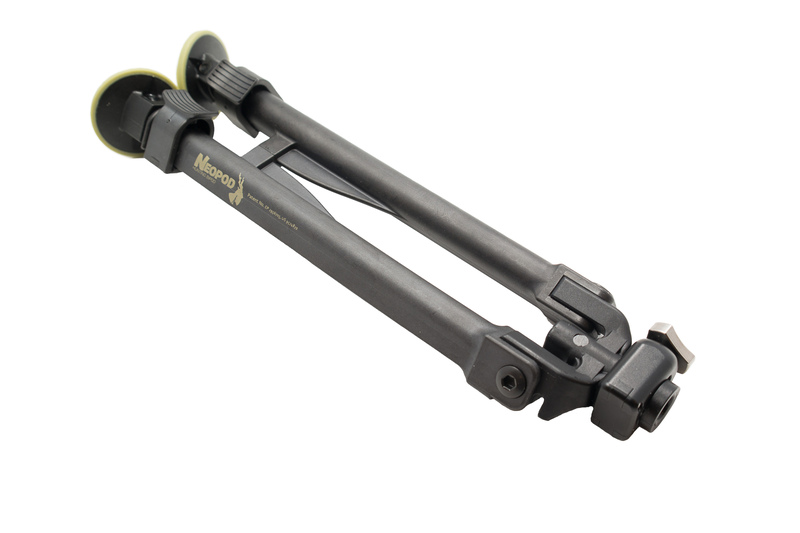 The hinges of the bipod are level with the spigot to further optimize center of gravity. The benefit to the shooter is maximum stabilty. The universal sling swivel stud adapter places the spigot just 8mm below the forearm. 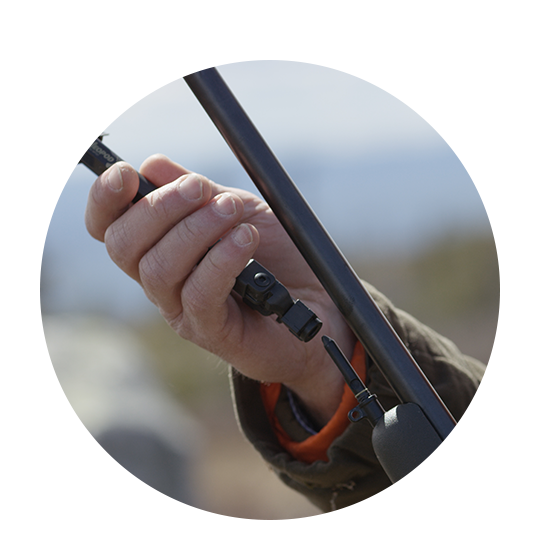 Adapters for Blaser R93/R8 Professional and Sauer, or other guns with horizontal push button sling swivel, moves the center of gravity close to the barrel. 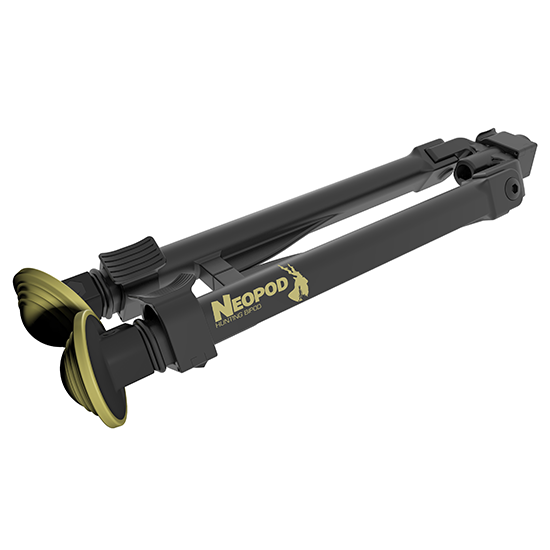 We belive the NeoPod spigot offers the lowest center of gravity of any bipod designed to fold under the barrel. The legs folds flat under the gun. No legs sticking out or metal parts digging into your shoulder. Safely leave the bipod mounted to the gun knowing that the legs deploy in a split second. The bipod has built-in 20 degrees of cant left and right of center and adapts instantly to uneven terrain. It’s got just the right amount of built-in play to follow moving targets. Some bipods use custom interfaces requiring a visit to the gunsmith. The NeoPod® adapters attach without tools to standard Recknagel (6mm) and Uncle Mike (8mm) sling swivels studs, push button horizontal (e.g. Sauer) or vertical and Picatinny. Why reinvent the wheel? In addition there is a very sleek spigot adapter for Blaser R8/93 Success and Professional and R93 Offroad. There is also an adapter that clicks on the spigot to enable the bipod legs to fold neatly under a silencer. 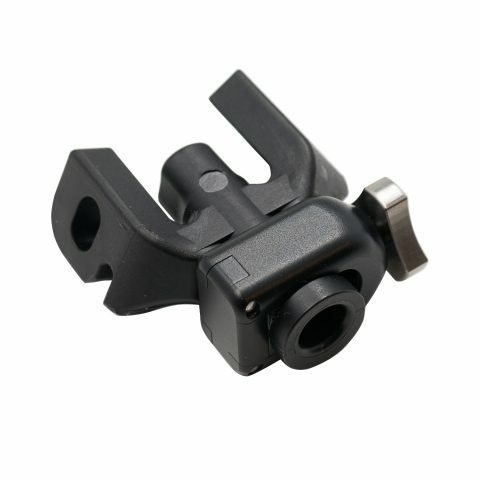 Universal sling swivel stud adapter. Self centering design. Made from aircraft grade aluminium. Weight 33g (1.2oz). Interchange the factory fitted sling swivel with this adapter for a sleek and elegant fit. It is machined from 7075-T6 solid billet and given a high grade surface treatment. Engineered to give a tight fit with European sling swivels. Weight 7g (¼oz). Snaps into the horizontal push button base. Secure fit and easily removable by means of push button. Made from stainless steel. Not for guns with angled push button base such as Sauer 101. Weight 26g (.9 oz). For use with Blaser, Sauer and Mauser adapters fitted to guns with silencers. Makes the legs fold neatly under silencer. Machined from aircraft grade aluminium. Weight 22g (.8oz). Universal picatinny adapter. Machined from aircraft grade aluminium alloy. Weight 29g (1oz). For fore-ends with verticaly fitted push button base (flush cup). The universal adapter mounts to the sling stud. Supplied with allen wrench and 4mm extra high pad. Weight 6 grams (.21 oz). For use with Mauser M12 synthetic stocks; Extreme, Impact & Trail. Interchange the factory fitted sling swivel with this adapter for a sleek and elegant fit. Machined from aircraft grade 7075-T6 aluminium. Weight 7g (¼oz). New for April 2018! Upgrade your current NeoPod with this center section with cant lock. The tension knob controls the stiffness of the canting movement, resulting in a rock-steady shooting support. Adds only 8 grams to the total system. Made from titanium and aircraft-grade aluminium for maximum strength and minimum weight. New for April 2018! The tension knob controls the stiffness of the canting movement, resulting in a rock-steady shooting support. The complete NeoPod ultralight bipod with this cant lock weighs only 90 grams! No distributor in your area? NeoPod ultralight hunting bipod with cant friction lock. New for 2018! Center section with cant friction lock. New for 2018!